Paying by check has become a time-consuming process with too many steps involved. While direct online payments have partly alleviated this headache, many vendors still require check payments for their goods and services. 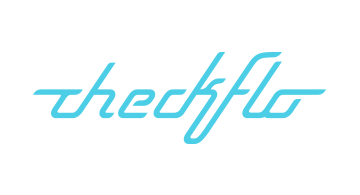 Introducing Checkflo - a fast, secure and flexible solution that allows businesses to pay by check via a secure online platform. Checkflo enables registered users to use their own bank account for check runs, so there is no pre-funding or intermediary banks involved. Simply upload payment information, select mail or FedEx, and Checkflo takes care of the rest. Checks are customized with a company’s logo and branding, printed and sent out on the same day from Checkflo’s headquarters. Checkflo offers a firm’s finance team the flexibility to send out checks anytime, anywhere. It is the perfect solution for those urgent and all-too-familiar scenarios where a check needs to be sent out right away and you realize someone forgot to re-order check paper, the printer is jammed, the boss isn’t in to sign and you ran out of stamps! Sending out checks with Checkflo is simple, fast and cost-efficient; which is why you should have Checkflo be your company’s check mate!